Every once in a while, you come across a story that touches your heart and restores your belief in the power of empowerment and creation of hope. That was the case for me a few days ago when I met a group of farmers from Nyalani area in interior Kwale County. 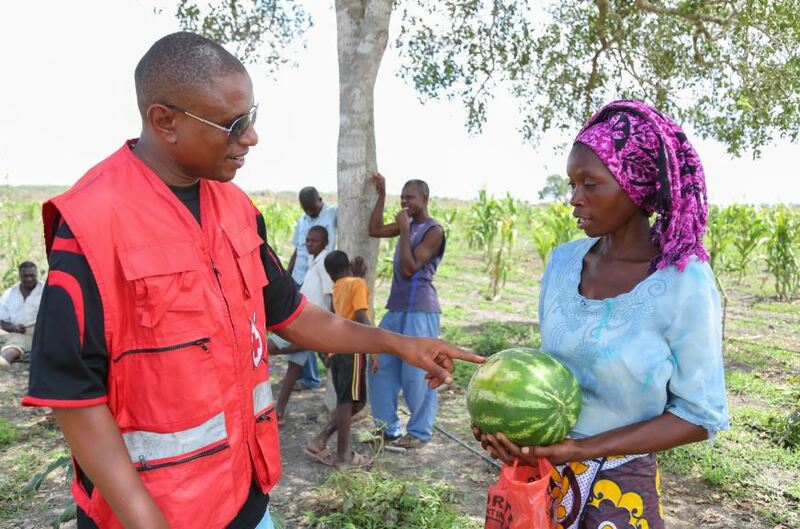 Mwanajuma Mlongo Rocha a farmer at Nyalani in Kwale showing a water melon as part of her harvest to James Ndegwa Halli, Project Officer at Kenya Redcross during a tour to Nyalani Dam. Mpesa Foundation funded the project. I will tell the story of Nyalani through the life of one of the farmers I met there. Her name is Mwanajuma Mlongo Rocha above, born and raised in Nyalani area. Kwale county is officially classified as an arid semi-arid and agricultural activities are severely curtailed. In the past, the area has experienced drought to a point of conflicts flaring up as communities fight for limited resources. As far as livelihood and sustainability of family life is concerned, life in Nyalani has always been difficult especially for a young mother like Mlongo who is bringing up 6 children all under the age of 10. Food and money have always been hard to come by. Good nutrition for both children and adults has not been up to recommended standards and it is not unheard of to see malnourished and stunted children. Mpesa Foundation Senior Manager Henry Kilonzo and Peter Msango, an Agronomist at Red Cross Kenya talking to Saudi Saalim and Emmanuel Mdate, farmers at Nyalani. Then came the 2013 rehabilitation of Nyalani dam and the subsequent uplifting of livelihoods by enabling fishing and farming activities. In a partnership between the M-Pesa foundation, Kenya Red Cross, the Kwale county government and of course the locals, Nyalani has as at 2016 transformed from a small seasonal and non-functional dam to one with a water storage capacity of approximately 500M litres. The rehabilitation of Nyalani was funded by M-Pesa foundation to the tune of Kshs.207M. The county Government also got involved by pledging Kshs.25M, and the community contributed to the project by availing 170 acres of land. This land was then subdivided into quarter acres and each beneficiary of the project got one quarter to farm on under drip irrigation set up by the Kenya Red Cross. In total, the project benefited 417 farmers. 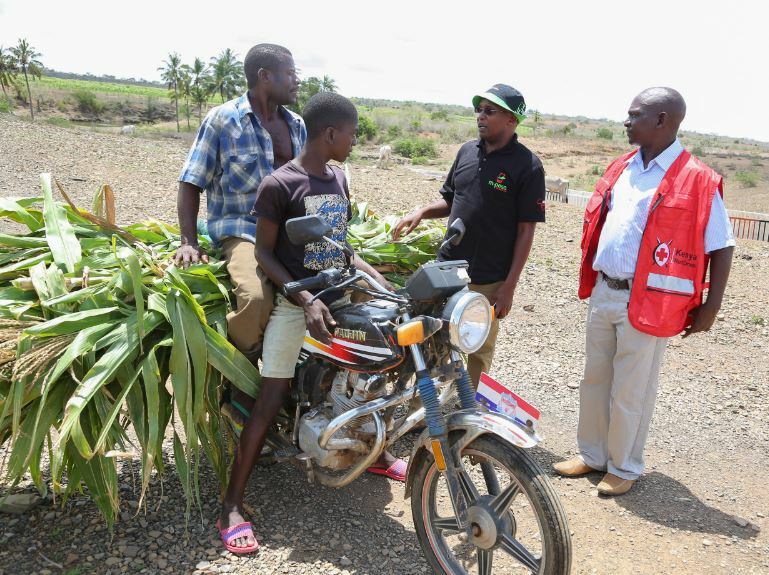 Kenya Red Cross also runs the day to day activities of the farms and trains farmers on how to ensure maximum yields. They send agronomists to teach the farmers on fertilizer application, safe use of pesticides, disease control, harvesting and weed control among others. They also train mothers in the community on matters nutrition. Juma Hassan, fishing in the Mpesa Funded water and livelihood project Nyalani dam in Kwale County. This four pronged approach has made Nyalani area an oasis and a fishing and agricultural haven with enough food for the farmers, not just for subsistence but also for sale in local hotels. Infact by the time we drove in some farmers were harvesting and there was a pickup truck ready to ferry the produce away. 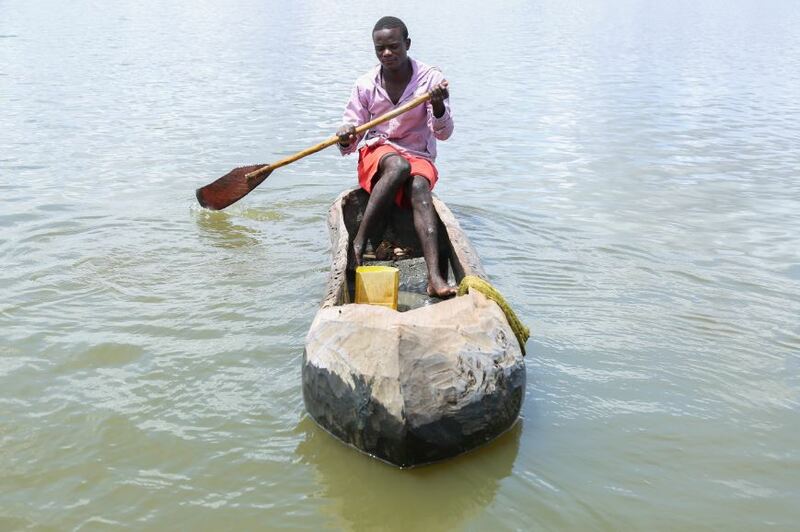 Mlongo’s story is just one of many successes directly attributable to the rehabilitated dam. Before the project, Mlongo, and indeed many other residents of Nyalani relied on charcoal burning and selling for their livelihoods. But this is a tedious job with low returns, not to mention very detrimental to the environment. A sack of charcoal goes for Kshs.150/- and it is not like she sold one every day. Now she makes upwards of Kshs.500/- per day – proceeds from her quarter acre farm at Nyalani. She’s now able to budget and actually have a better life. She’s also able to give her children green vegetables and fruits, something that was a rare treat before. She can see the results in their bright faces and better performance for those who are going to school. Her story captures the essence of M-Pesa Safaricom which according to the Senior Manager Foundations Program Coordinating M-Pesa Foundation programs Mr. Henry Kilonzo aims to promote self-reliance. M-Pesa foundation is about people being able to stand on their own, which leads to improved healthcare, improved education for children and empowered women among other benefits. This ultimately reduces the cycle of poverty.